Source: This essay was originally published in the book “Think Success, Essays on Self-help” by Jayaram V under the title, “Stop Blaming Others," and reproduced with publisher's permission. Blaming others for one reason or the other is common behavior in which most people engage. It is an important aspect of human relationships. The closer people get the more likely they will indulge in it for even trivial reasons. A daughter may blame her mother for spoiling her weekend because she asked her to stay at home and clean her room, which she has not cleaned in a month. She will keep blaming her mentally and silently until she gets over with it. After growing up she may blame her parents again for not giving her enough attention or not appreciating her choices. A bored and lazy husband who spends most of his time watching television and eating unhealthy food may blame his wife for his lack of success or peace of mind or for their increasing debts. Open any television news channel, and you will see how we have internalized blaming in our culture and behavior. Children blaming parents, parents blaming their children, mangers blaming their team members and team members blaming their colleagues, people blaming their leaders, leaders blaming their opponents and critics, teachers blaming students, students blaming teachers, neighbors blaming neighbors, these are common facets of life, in which we not only reveal our hidden resentments but also our tendency to let out our fears and frustrations through blame and criticism. We do not spare even God from this blame game, even though we have never seen Him directly and do not know much about Him. It is easier to find a scapegoat or blame others, with or without reason, whereas it requires a lot of courage to own your faults and accept responsibility. We appreciate such people, but rarely do it in our lives. We may do it rarely but not habitually or as an expression of our essential nature. We are conditioned to seek approval and appreciation of others. Hence, in public we do our best to put on the best possible behavior and meet with the expectations of those whose relationships we value. However, when are frustrated or angry, we use the same human weakness to control others and make them feel guilty or submissive. Sometime, people need to be told what is wrong with them or how they can improve. Constructive criticism is useful and necessary to nurture relationships, build trust and improve ourselves and others. However, it should be done without envy and without any ulterior motive to control people, break their morale or make them feel small and guilty. Unfortunately, many people do it habitually to vent their own anger and dissatisfaction, settle their scores, feel good about themselves, or just seek attention. Unjustified criticism is modified anger, expressed by the human ego for its own ends. In the end, it does not do any good. It may provide a temporary outlet to vent your negative emotions, but it also attracts a lot of negativity and interferes with your progress and happiness. Most of the time, those who habitually blame and criticize others end up alone. As they cannot think positively, they also miss many opportunities in life. If you criticize others, others will reciprocate with criticism and do not acknowledge your skills or talents. Many great people spend a whole lifetime and end up going to their graves without ever showing their skills or proving their greatness, because they cannot help blaming and criticizing others. If you want to avoid that fate, you should stop thinking negatively about others or blaming them. Here are a few suggestions to help you do it. You may not be aware, but it is true that you are responsible for whatever that happens in your life. You are the author of your life and the creator of your reality. Every event and moment of your life is created by you, with your thoughts, intentions and actions. You have that spark of divinity in you, which gives you an unlimited ability and a wonderful opportunity to mold your life and carve your cherished path. You are endowed with the power to direct your life, using your intelligence and exercising your free will. You can use it effectively to mold your life and the shape of things yet to come. The environment in which you live, the people that come into your life, the problems you encounter as you pass through the portals of life, the successes and failures you experience in your endeavors are creations of your own consciousness, under the influence of desires. You may blame a thousand people, but your life is your responsibility. At any point in your life, you have the freedom to choose from the options the world presents to you. You can choose your actions as well as your responses. You have the power to control your thoughts and words and use them in whatever way you want. Certain aspects of your life may not be in your control, but you can always adapt to them and minimize their impact and interference. Whether it is solving problems or choosing your goals and priorities, you have the freedom to use your intelligence and exercise your will. Therefore, if something goes wrong, instead of blaming others and outside forces, ask yourself how you precipitated it and how you can resolve it. Why do you blame others? Sometimes you may do it for valid reasons, but it may be a reflection of your inner unhappiness. Before you begin to blame others for whatever mistakes they might have made or the criticism they deserve, examine your own motives. Search your heart and be truthful and honest to yourself. We blame people for several reasons. Some are valid, and some are not. If you blame others habitually, you have to follow the thought process that fuels your anger and understand the source of it. Is it the suppressed anger towards your parents and authority figures, self-hatred or hunger for attention? Until you find the root cause, whenever the thought of blaming someone arises in your mind you should do the introspection. Ask yourself, "What do I get by blaming others? What is the pay off?" Is it coming out of your frustration with your own life? Sometime we also tend to blame others out of deep seated prejudice or past resentment. Once you form an opinion about a person, it is difficult to erase it from your mind. Your opinion of a person becomes a filter in your mind and any information you receive about that person becomes filtered by your past impressions. Hence, it is so difficult for each of us to change our opinions about anything or anyone. Therefore, we tend to criticize those whom we dislike, even if they are innocent. We cannot reverse this pattern of thinking in a short time, but we can control it gradually with determination and by understanding our own thinking and behavior. Introspection is the key to any self-improvement. You have to analyze your own self-talk and realize how frequently you blame yourself. The remedy lies in becoming more comfortable with yourself. If you feel that you need to help someone with constructive criticism, you may do so with right motives, for right reasons, and with no hidden or ulterior agenda. If you think negatively or indulge in negative actions you will attract negative situations into your life and suffer from their consequences. The same principle applies to positive thoughts and actions, which will attract positive forces into your life and create happiness, peace and prosperity. The results may not manifest immediately or as you expect, but eventually your dominant thoughts and emotions will precipitate reality in ways you may not even recognize. Blaming is a negative act of hatred and ill will. You can expect from it negative consequences only, not for those whom you blame but for yourself. When you blame others, you attract many negative forces into your life, besides damaging your relationship with them, their supporters and well-wishers. No one likes to be criticized, even if they are wrong. Therefore, it is better to remain positive, fair and objective, when you have to criticize someone or fix accountability as part of your responsibility and obligatory duty. Criticizing people that you care is a delicate act, which requires a lot of skill and compassion. You have to know how to convey unpleasant facts to them without breaking their heart or dampening their spirits. If you do not care about them, then you should not even bother to criticize. Harboring negative feelings towards others and nursing angry and resentful thoughts in your mind is not good for your health or mental peace. Intentionally and unintentionally people commit mistakes. In this they are not much different from you. We cannot always ascertain correctly why people act in certain ways under pressure and what makes them lose control. 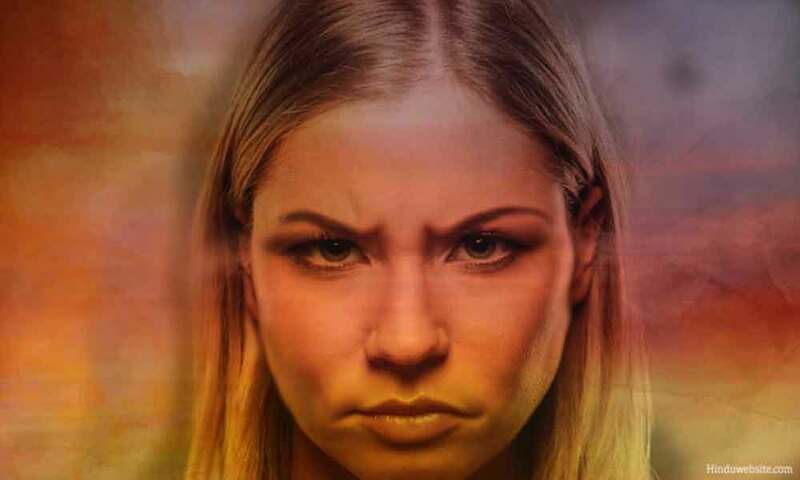 When we are angry or frustrated, we cannot think fairly or objectively about other people. We are also influenced by our own irrational thoughts and beliefs, which makes it difficult for us to forgive others or think about them positively. If you are prone to blame and criticize others, you should examine your motives and learn to forgive others. It will do you a lot of good, as it will cleanse the negativity that has accumulated in your mind. Ask yourself what purpose criticism serves in your life, and which one is better for you, criticizing or forgiving. Much of our criticism is unnecessary since it serves no real purpose, other than making your feel important or ignoring the reality. I had a relation who criticized others when they were absent. When the same people were present, he would pretend as if he had no rancor. Sometimes, he would go out of the way to please them and praise them. I told him several times that for his own mental peace he should either forgive them or talk to them directly to resolve their difference. He listened to my suggestion, but never followed it. He was not deceitful but lacked courage to tell them the truth or express his genuine feelings. For your own good and self-esteem, it is better to forgive people than to blame them or criticize them. You may not be able to avoid meeting bad people in your life, but you can mentally forgive them and let them go. Instead of carrying the negativity about them, you can dissolve that burden in the ocean of your inner compassion. Forgiveness opens your heart and makes you feel lighter. People deserve forgiveness because we are imperfect and prone to make mistakes. We all deserve kindness because we go through a lot of suffering in our lives. When you forgive others, you open your heart to the universe and make peace with it. You reinforce your best thoughts and behavior. It elevates your consciousness and character and moves you closer to your soul. Besides, those who are touched by your act of kindness may reciprocate and forge a positive relationship with you. If your mind is filled with past injustices and negative memories about others, you will find it difficult to be at peace with even yourself. The more you think about them negatively, the more miserable you will feel about yourself since no relationship is one-sided. I have a friend who cannot trust anyone because he cannot think positively about them. His negativity affects his relationships, as he cannot avoid expressing it in subtle and nonverbal ways in his conversations. If you find people who blame others habitually, know that it stems from a general resentment they feel inside towards the world which they think has wronged them. If you suspect that people out there are ready to hurt you or exploit you, you will become hostile, suspicious and defensive. Carefully analyze what thoughts and impressions come to your mind spontaneously when you remember people. Ask yourself why you feel in certain ways about certain people. Sometimes your negative feelings may arise because you envy their success or feel small in their presence. If you are successful, people who are not so successful as you get easily hurt by your words or actions even if you do not intend to hurt them. The problem is not what you have done or said, but what they felt and thought happened. Their intention is to make you feel small and guilty so that they can feel that you are their equal. Every human being is a mixture of both positive and negative qualities. Both light and darkness exist in us. Your relationship with others depends upon with which side you interact and which side of yours you bring into focus. In this regard, you have a choice. You can focus only upon the positive, or only upon the negative, or upon both and learn to remain in balance. In social situations, people usually display their good nature, but as they are drawn deeply into relationships, their darkness begins to come out. Hence, after an initial period of bloom and burst, most relationships wither. Therefore, you should have a good understanding of human nature and learn to discern people according to their behavior. You can avoid those who are extreme in their behavior, but in case of others you should use your own discretion to determine how much distance you should keep from them and what type of relationship you should have with them. Focus upon both their positive and negative qualities to know what to appreciate in them and where to keep a safe distance from them. Many times, people blame others with a superior and holier-than-thou attitude. This behavior is more visible in communities that are guided by social conventions, racial and class distinctions. It is incorrect to assume superiority based upon some social, cultural or economic criteria and use it as a justification to blame or criticize others. It is equally wrong to suppress the voices of others because they disagree with you. Freedom of speech is also not a license to blame others or promote your beliefs by a holding a superior attitude. If you treat people as your equals and respect their individuality, your attitude and behavior towards them will be more civilized and flexible. You will be balanced and respectful, even when you have to criticize them for a reason. You will also treat them with dignity, respect and consideration, as you would like to be treated by them. With an open and receptive mind, you will consider their explanations objectively and give them an opportunity to defend their position on equal terms. Aggressive people do not recognize the rights of others or show any respect for their views and opinions. They try to negotiate and have their way through confrontation and authoritarian methods. While at times they may succeed, in the end they lose all support. On the other hand, assertive people remain firm in their resolve, but recognize the rights of others to defend themselves. Therefore, treat people as your equals, recognizing their right to opinion, while asserting your own, and use criticism in collaborative ways to build understanding and relationships. Treat the people fairly knowing that they have the same problems and concerns like you and deserve an opportunity to voice their problems and express their concerns.